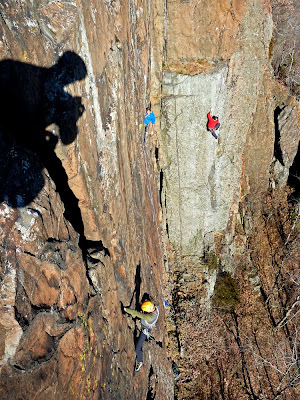 The Catskills have a lot of new route potential. 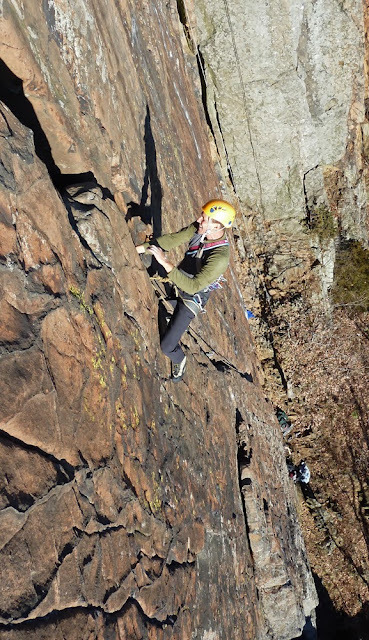 In many ways the climbing there is like a winter extension of climbing in the Gunks. Most routes have been established without the use of bolts. 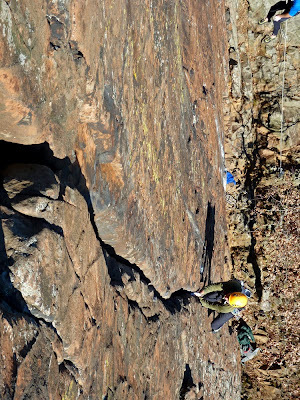 When a new route goes in, and the route has bolts, the person who equips (and hopefully sends) the route is bound to catch some flak for placing the bolts. 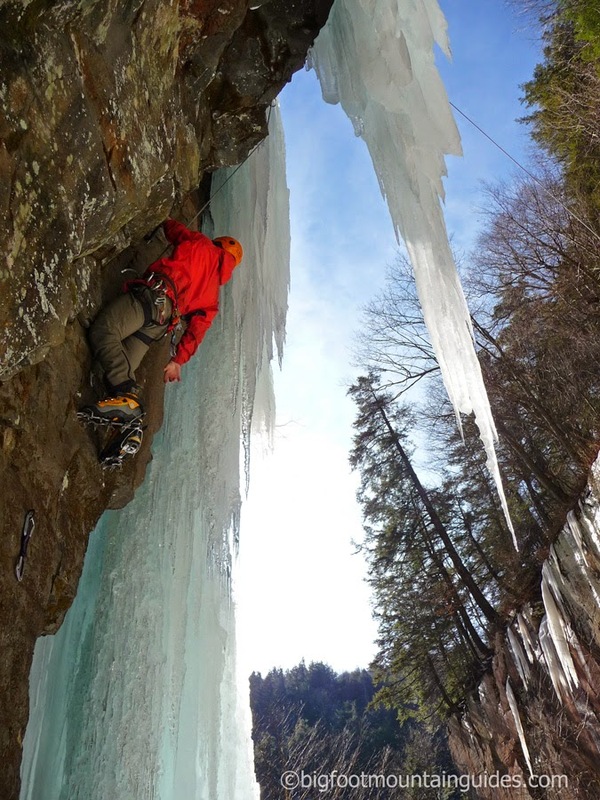 However, for a long time in the Catskills there have been features that seem logical to call routes yet are unprotectable or difficult to protect safely. Many of these routes would be fine climbs that would see a lot of traffic if they were safer to lead. Last year Chris Beauchamp added bolts to a route that climbs up a gently overhanging wall and then steps onto a hanging dagger above. He calls it "Dream a Little Dream". 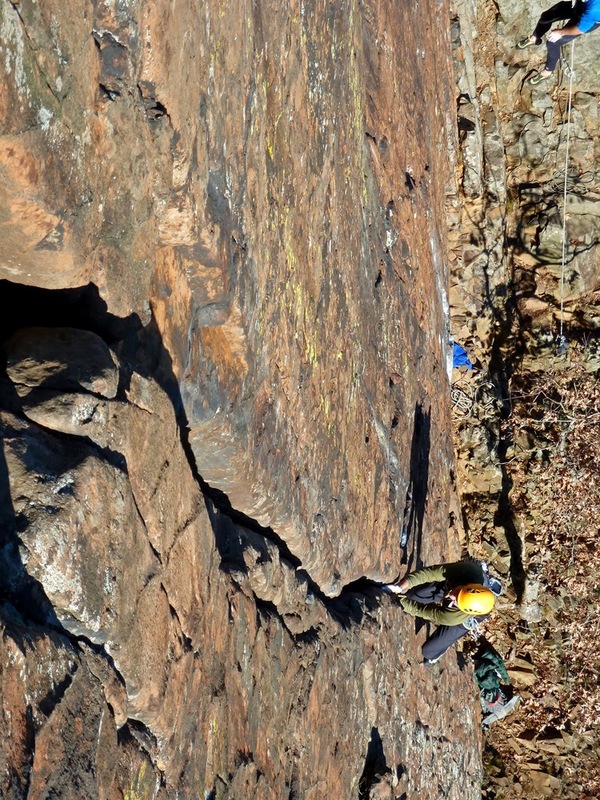 I have climbed this route twice now. I led it last year and got on it again today, and it's a very fine addition to the climbs in the Devil's Kitchen.